Honeymoon on a cruise ship: Best wedding present- Just Cruise! Embark on a romantic cruise experience with your significant other. There is nothing more romantic than indulging in an extravagant and relaxing experience with your better half. And if you are planning your honeymoon and want the best vacation possible, look no further than Celebrity Cruises’ sailings. 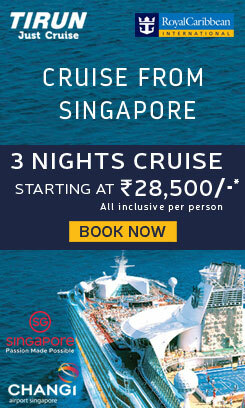 You can choose to sail to an exotic location, and enjoy incredible services throughout the journey. 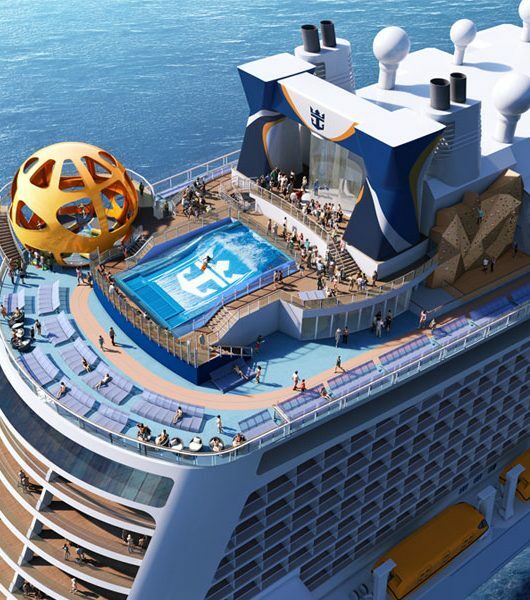 And you don’t have to stop at planning a vacation- you can even get married aboard a liner or at a port of your choice, with a captain-led ceremony. 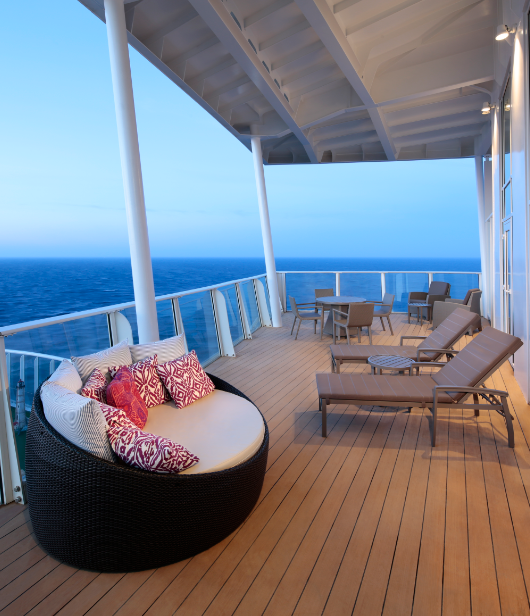 Celebrity Cruises specializes in making dreams come true, making it the perfect cruise line for your romantic escape. Besides the sea’s own allure, the dedicated ship crew will make sure your holiday is simply unforgettable. 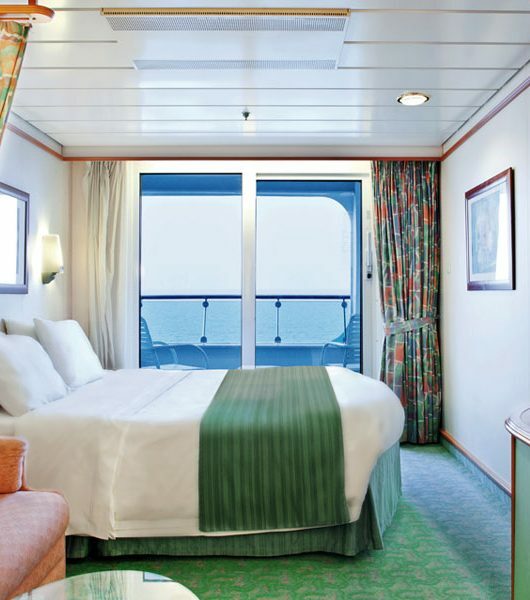 Begin your day on a luxurious note by enjoying a private breakfast on your Stateroom Balcony. You and your loved one can indulge in an unparalleled gourmet experience, complete with a bottle of premium champagne and Godiva chocolates. For honeymooning couples, Celebrity Cruises also provides two ‘Special Memories’ engraved flutes, a flower-filled flex-vase, a single red rose and two plush, hundred percent Egyptian cotton bathrobes, making you feel like a king and queen. Next you can head straight to the spa, and be pampered for hours. The rejuvenating ‘Couples Spa Experience’ consists of soaking up the sun in the adults-only Solarium, and then slipping into soft, fluffy robes to enjoy the benefits of the aromatherapy steam rooms in the Persian Garden. The smooth heated tiles of the day beds in the steam rooms are sure to keep you comfortable as you spend some priceless moments with your partner. You could even speak to one of the Spa Specialists at the Canyon Ranch SpaClub at Sea and they will ensure that your experience is customized to your liking. After an invigorating morning, you can return to your room and avail of more best-in-class services. 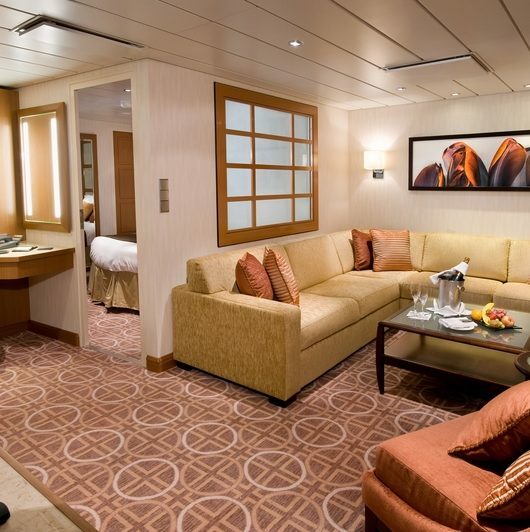 Celebrity Cruises allows you to add a touch of romance to your Stateroom with customized floral arrangements. Scattered rose petals, twelve long-stemmed roses and an exquisite bunch of flowers from the cruise line’s selection of fresh bouquets are sure to make your partner feel special. What’s more- you can choose from a range of ‘Celebration Packages’ and make your journey even more memorable. The ‘Classic Package’, that includes a bottle of La Crema Pinot Noir, a bouquet of fresh flowers, and a dozen chocolate-dipped strawberries, will help you let your partner know how much they mean to you. The evenings you spend on-board with your loved one are bound to be exhilarating as every Celebrity Cruise features a honeymoon and anniversary party, where the cruise director invites celebrating couples to enjoy a complimentary champagne toast, cake and live music. In addition, couples can indulge in a romantic picnic for two on lush green grass. Bathe in the sun or the light of stars in the middle of the ocean, at ‘The Lawn Club’, and create memories that will last a lifetime. The special picnic basket package allows you to munch on tasty cheese and drink sparkling champagne, as the sun sets over the horizon. Spending your first few days of matrimonial bliss aboard a Celebrity Cruises ship is the perfect romantic getaway. Booking a cruise trip for your honeymoon is something you are sure to thank yourself for later, as you indulge in romance on-board as well as on-shore. 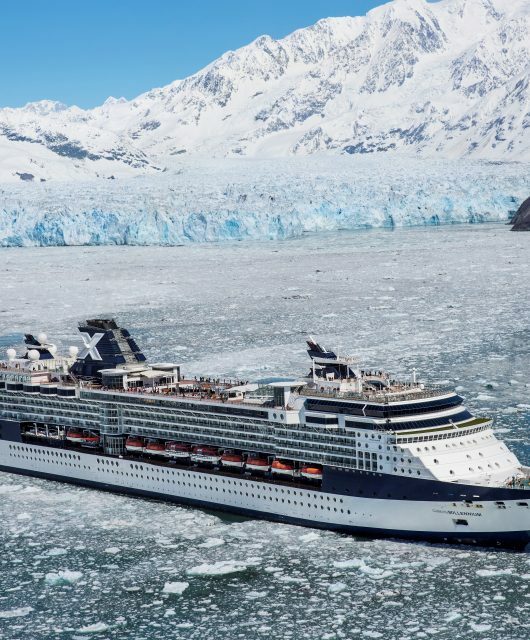 5 reasons why you sail to Alaska and Europe like a Celebrity!